While bones are the hardest mineral substances in the body, they are also living, growing tissue. They are primarily made of two materials – collagen (a protein) and calcium (a mineral). Bones provide strength, balance and support throughout the body, including protecting the internal organs and supporting the muscles. 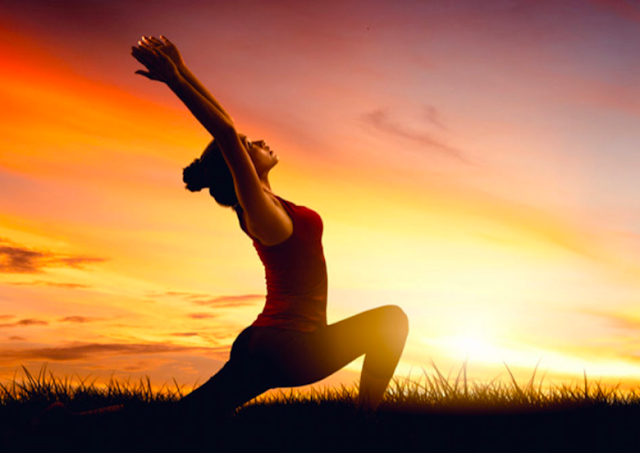 Healthy bones are also important for good posture to improve your appearance and keep you looking youthful for years. 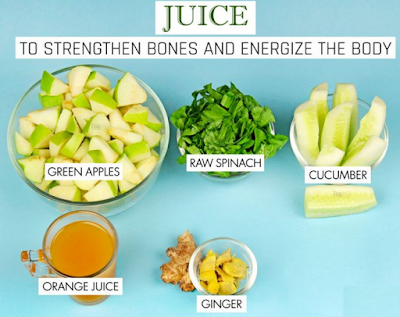 Along with strong bones, your body also needs ample energy to stay healthy and active. Without adequate energy, it can become impossible for you to complete even the easiest of tasks. You will feel exhausted and tired most of the time, leaving you no energy to enjoy all the fun-filled activities you love. When it comes to protecting your bones and energizing your body, it’s never too late. No matter what your age, you can adjust your diet and lifestyle to help your body build and maintain strong bones. A good diet containing key nutrients like calcium, magnesium, potassium, vitamins D and K, beta-carotene and protein can build strong bones, boost your endurance and help you recover faster from a hard workout or a day filled with physical activity. Along with a balanced diet, exercising regularly is equally important. 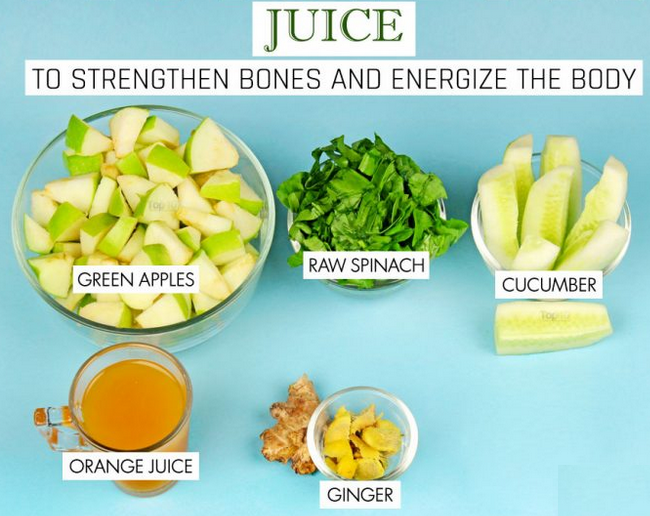 To get all the essential nutrients for strong bones and lots of energy to carry you through the day, you can start your day with a glass of healthy juice. Here are the specific benefits that these ingredients provide to your bones.